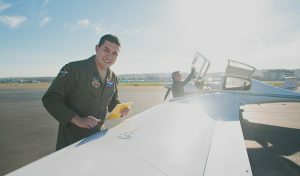 I still remember the day I took a seat in the airplane I would begin my primary flight training in. It was a Piper Warrior III and the immense amount of knobs and switches intimidated me. The only thing worse would be trying to watch a movie while housesitting with 3 remotes in hand: one for the TV, one for the DVD player, and another for the sound system. Comically, I learned only the buttons I needed to know to start watching Dumb & Dumber and I did the same during training. If I didn’t know what it did, and the checklist didn’t call for it, I stayed away from it. Good thing I was paying someone good money to teach me and never bothered asking, right? But I digress. As time went on and I moved into ever increasingly complex aircraft, I quickly began to see the value of cockpit flows. So what makes a flow a flow and when are they appropriate? A “flow” is simply a series of steps completed in a logical pattern that can be repeated efficiently and consistently. You may have noticed the climb checklist you did a month ago is still the same climb checklist you did today in the same aircraft. In fact, you probably came to the conclusion that you instinctively do many of the steps in a checklist out of habit and then verify they are complete with your checklist. The last part of that statement, “then verify they are complete with your checklist,” is the crucial step though. Flows are great, but checklists are mandatory. “So why not eliminate the middleman and just stick with reading the checklist verbatim?” Good question and easy answer! Flows are commonly used during high workloads and at times when it isn’t appropriate to have your eyes buried in a checklist such as during climb, approach, before landing, after landing, etc. If you could execute a checklist using a flow then at a more appropriate moment verify with your checklist that it is complete, you will make better use of your time and division of attention. It is common to see a resistance to flows. I typically hear someone tell me they are afraid to miss something. This is a natural fear because, hopefully, we are trained very early on to avoid missing items on a checklist as it could have a negative impact on the flight later on. The checklist provides the warm, fuzzy feeling that everything is where it should be. Pilots new to flows tend to feel as if they missed something. You know the feeling – like when you’re being dropped off at the terminal for a 2 week vacation and you just know you forgot to pack something. The solution? It all goes back to the statement above: Flows are great, but checklists are mandatory. If you execute a flow then follow up with your checklist shortly thereafter you will catch any items you may have missed. Your checklist is a literal cheat sheet for your flows! 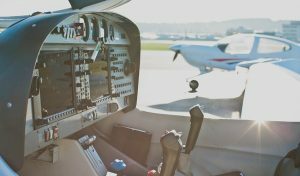 Whether you intend to go no further than your private pilot or instrument rating, flows are essential to being effective at single pilot resource management. Flows enable you to focus more attention on critical areas and maintaining situational awareness. On the other hand, if you intend to be a professional pilot, the faster and more complex an aircraft becomes the more essential flows become to safe and efficient crew resource management. To put it concisely, flows enable the pilot or pilots to become efficient and divide their attention more effectively. In conclusion, flows are a wonderful tool we can use while flying as long as we promise ourselves one thing: always back up your flow with a checklist! Becoming a smooth, efficient pilot is a pinnacle we should all strive for as long as we don’t become complacent!